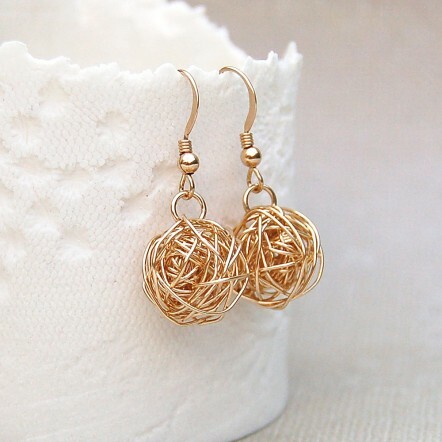 These beautiful earrings are romantically elegant and delightfully feminine and a wonderful alternative to our very popular sterling silver bird's nest earrings. 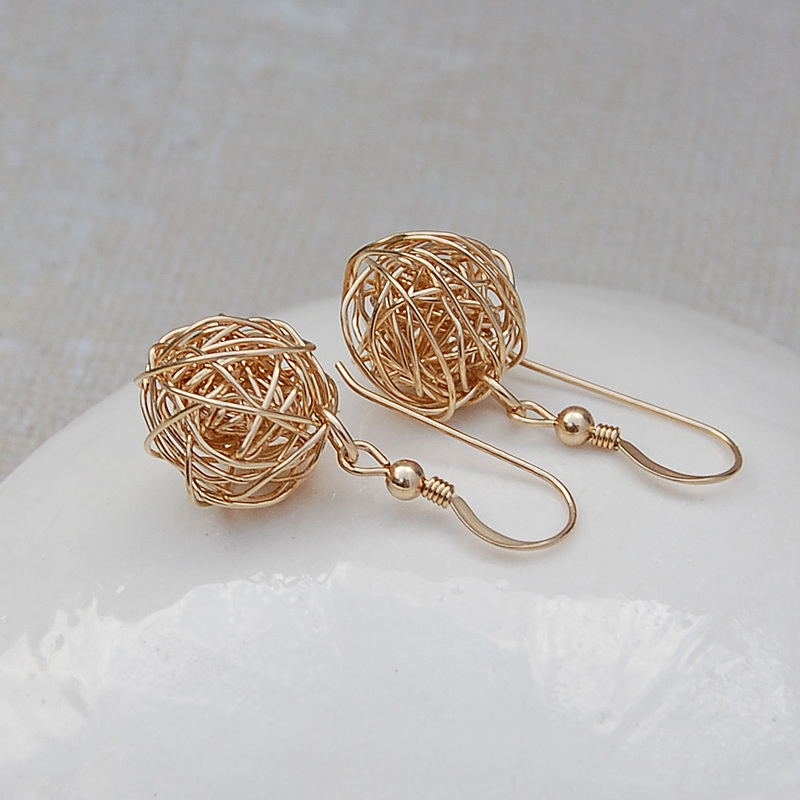 These earrings were made primarily for our wedding/bridal collection but have proved extremely popular due to their versatility. A matching necklace is also available as is a version with the addition of an AAA quality pearl. 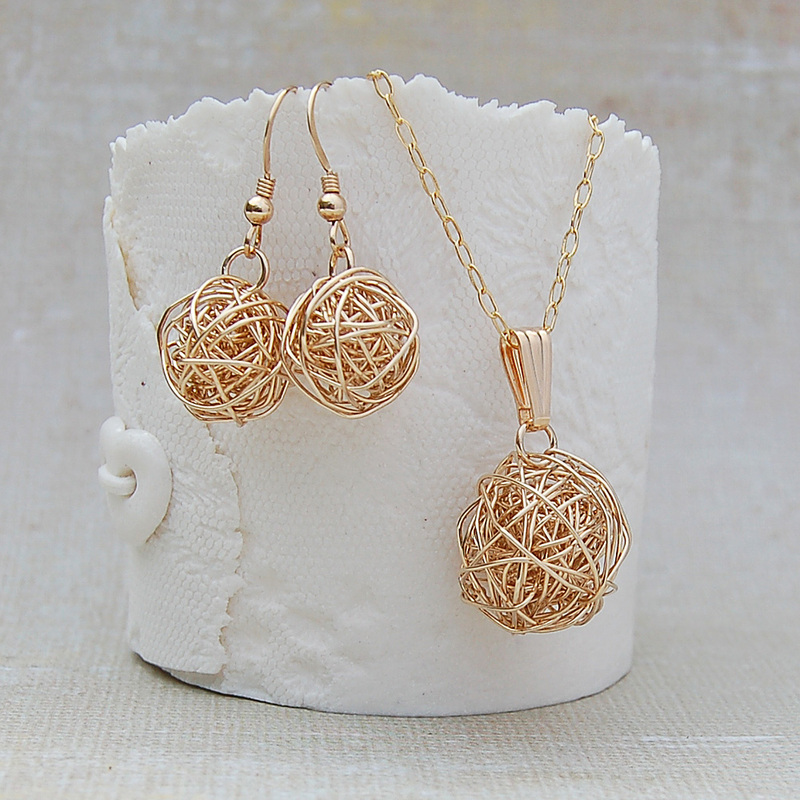 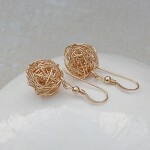 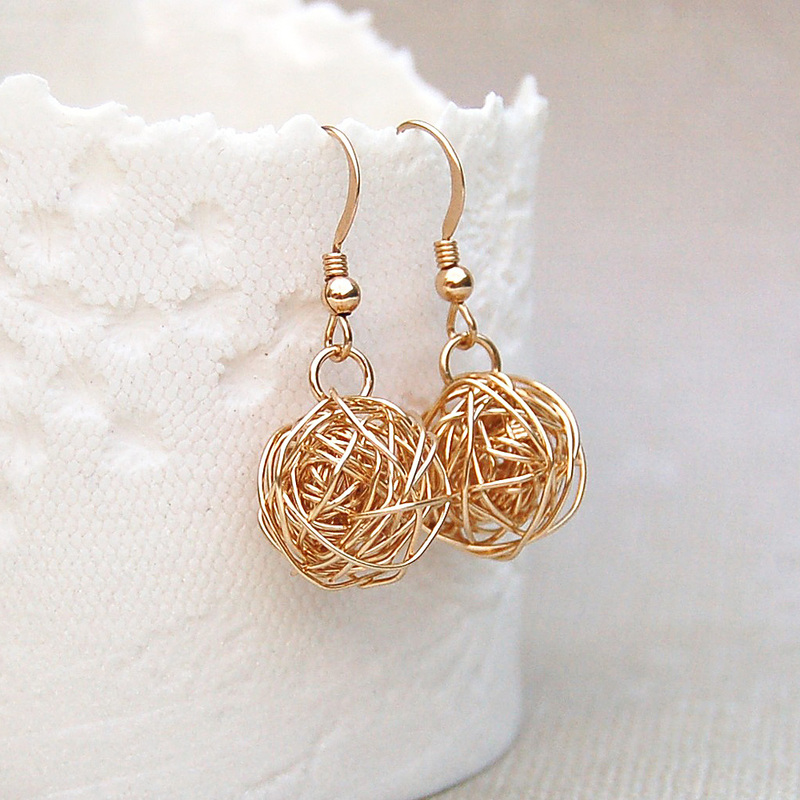 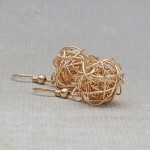 Lengths of 14ct Gold Filled wire are wrapped and weaved into ball which measure approximately 10mm in diameter and are hung from simple but elegant Gold Filled ear wires with a small bead and coiled wire detail. 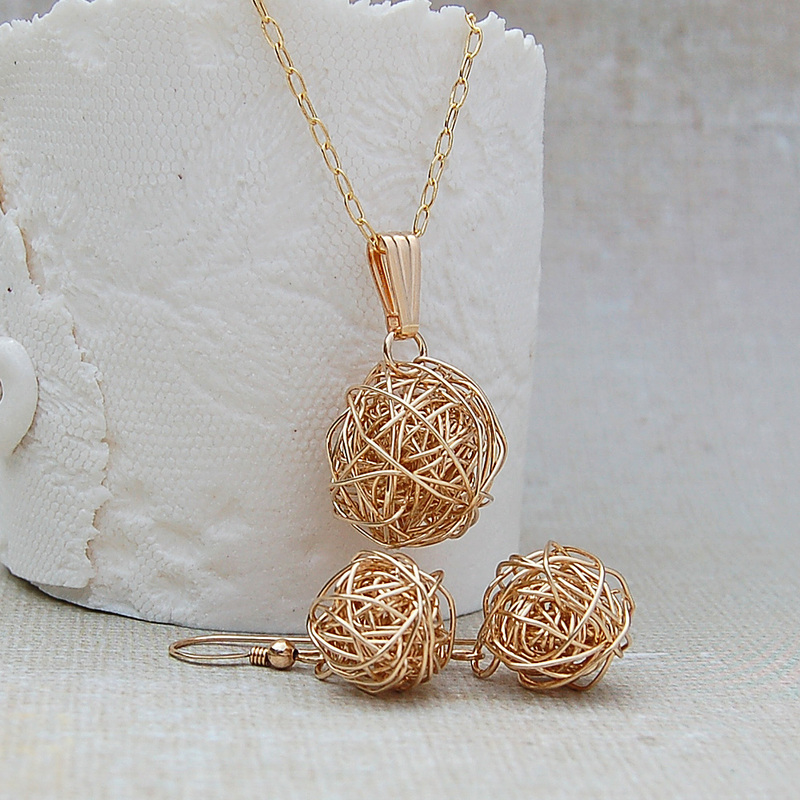 If you would like to purchase the matching necklace a discount will be applied for the set. 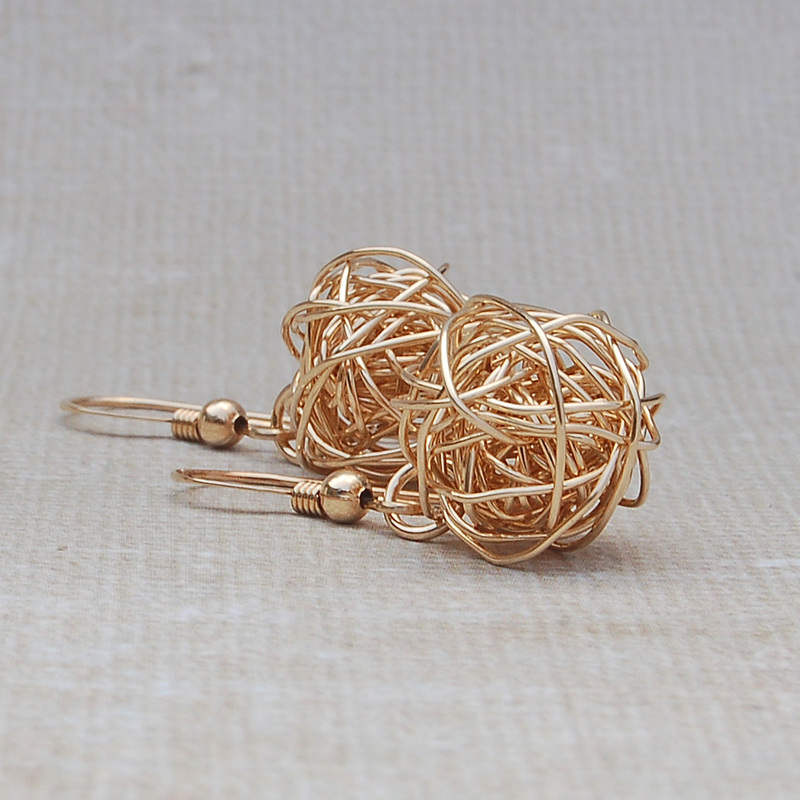 All components of these earrings are made from 14ct Gold fill.